Being from a well-known green cleaning manufacturer like Seventh Generation, I was excited to get my hands on this product and give it a spin so to speak. Could I trust the ingredients to be safe and environmentally friendly? Would it indeed whiten, brighten, and remove tough stains and spots as the manufacturer claimed it would? I found out that it would – to a certain extent – and also discovered a few other hidden cleaning tasks this product could do, such as being a great bathroom cleaner. Type: An oxygenated bleach in powder form that is marketed as a laundry "additive"
One of the first "pioneers" in natural cleaning products, Seventh Generation has grown into a company with an extensive natural products line, including household, laundry, personal, and baby care items. Its name is aptly tied to its mission statement: "To inspire a revolution that nurtures the health of the next seven generations." Seventh Generation does indeed seem to take the health of people and that of the environment into account when making its products as can be seen in its product philosophy, sustainability practices, environmental involvement, corporate consciousness, and more as explained on the company website. In addition to its laundry uses, the label states that the product can also be used as an outdoor, bathroom, and kitchen cleaner. However, no directions are given for those other uses on either the label or the website. So, I decided to test its use mainly in the laundry and since I had a bathroom that desperately needed cleaning, I thought I'd try it there, too. In preparation, I let the bathroom go for a few days and stained two cotton cloths with common staining agents: grass, dirt, coffee, red wine, peanut butter, chocolate, tomato/spaghetti sauce, olive oil, make-up, avocado, and blueberries. My family questioned my "dedication," but I clarified it was all in the name of research! As a bathroom cleanser, this product worked significantly well in cleaning mildew stains, hard water spots, soap scum, and dirt. I was quite impressed with how quickly it worked. As a laundry booster, fresh grass, coffee, avocado, peanut butter, olive oil, and chocolate stains were gone, but the red wine, ground-in blueberries, tomato sauce, foundation make-up, and dirt stains were still there – faded, but nonetheless still stubbornly present. So, I decided that in the future I might want to pre-treat the stains first for 1-5 minutes as suggested by the manufacturer. 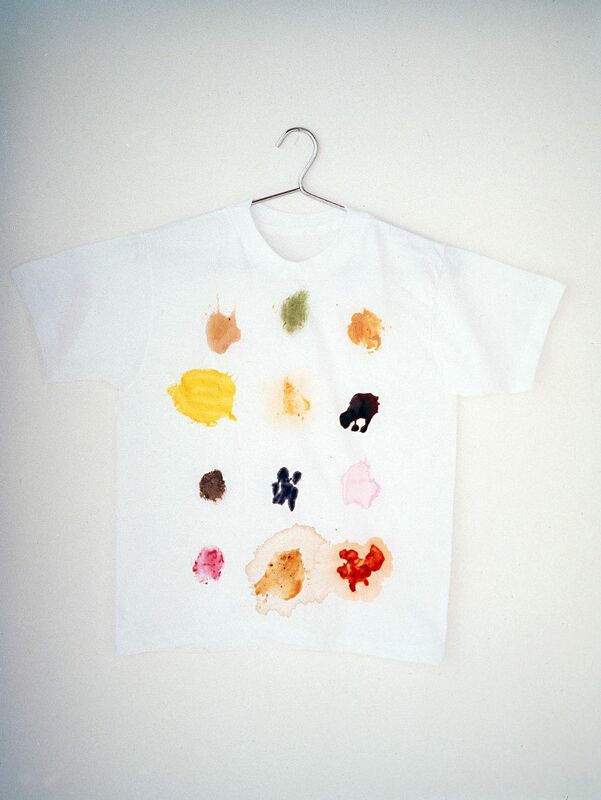 As a soaking agent, six out of 11 two-day-old stains were removed within one hour. The grass, dirt, tomato, make-up, and avocado stains were still there and weren't even gone five hours later. (The manufacturer suggests soaking stains for up to five hours.) Of course, in fairness to the manufacturer, these weren't fresh stains, so that is a factor. Aside from misuse of the product, it is relatively safe. Of course, it is dangerous if ingested and can irritate the eyes. The MSDS also points out that if the product gets on the skin, to rinse with water; however, for some reason this is not on the label. This product is dangerous when mixed with chlorine bleach, acids (that includes vinegar), ammonia, or other household cleaners. Seventh Generation left out all the undesirable chemicals, such as chlorine, phosphates, Volatile Organic Compounds (VOCs), perfumes, synthetic fragrances, and optical brighteners, so this is indeed a green product. The ingredients don't appear to pose any known serious environmental effects and the MSDS states that it is a biodegradable product. This product didn't completely live up to its reputation as a stain removing agent, but did indeed work as a laundry booster and a bathroom cleaner, so I would recommend this product over other natural oxygen stain removers that may not be so cost-effective, safe, and environmentally friendly.